I love this movie, and I can confirm that I’m far from the only guy who also loves this score (just ask Brett Ratner how he decided to hire Lalo Schifrin for the Rush Hour movies). It is, of course, the greatest kung-fu movie ever made, with an amazing performance by Bruce Lee both as star and fight choreographer. Lalo Schifrin’s score was originally released in 1973 as a 26-minute LP but then expanded by producer Nick Redman into a 56-minute CD by Warner Home Video in 1998. I was privileged to write the notes for that expansion, interviewing the composer and delving into the creation of this iconic score. So for Aleph’s reissue of the latter — expanded slightly to include the film’s main title, with Lee’s unique shouts — I have adapted my earlier essay. 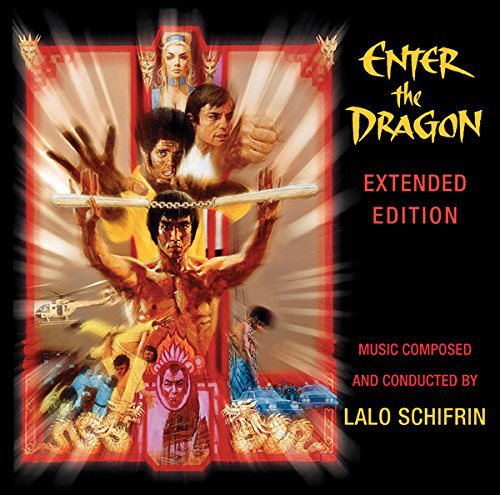 This entry was posted in Composers, Film Music and tagged Aleph Records, Brett Ratner, Enter the Dragon, Lalo Schifrin, Rush Hour, Warner Bros. on November 11, 2014 by Jon Burlingame.